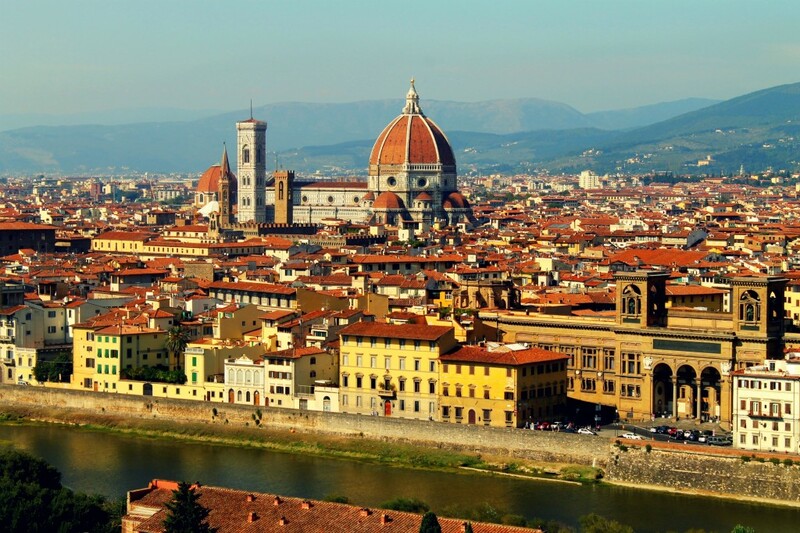 Florence is all things Tuscan and it is impossible not to fall in love with its undeniable charm. Although considered a tourist’s city, there is much more to Florence than what quickly passing visitors see. I had the opportunity and the pleasure to dig deeper, roam further, and discover things about Firenze that many tourists never experience. Piazza Della Repubblica- a vast, open piazza in the heart of one of Florence’s most frequented shopping streets, Via Roma. Take a ride on the merry-go-round, buy tacky toys from street vendors, or simply take a few moments to people-watch. Let me begin just by saying that no matter what street you turn on and what direction you head towards, you will find noteworthy shops of just about any category. It’s really hard to come up with a solid shopping guide because good shopping is everywhere. If you’re looking for more high-end shopping, Via Tornabuoni and its surrounding areas is your best bet. Via Roma is home to fast-fashion stores like H&M and Zara. You may also want to head down Via Dei Cerratani and Via Panzani(the streets leading to the train station) for more affordable shops such as Dixie and Sisley, as well as endless leather shoe stores. Massimo Leather- Massimo is not only one of the friendliest people I met in Florence, his leather goods are of the best quality. Next door is his shop selling leather purses.